Nintendo had a major new release in the UK charts this week, albeit serving as a reminder that Switch isn't the company's only current-gen hardware. 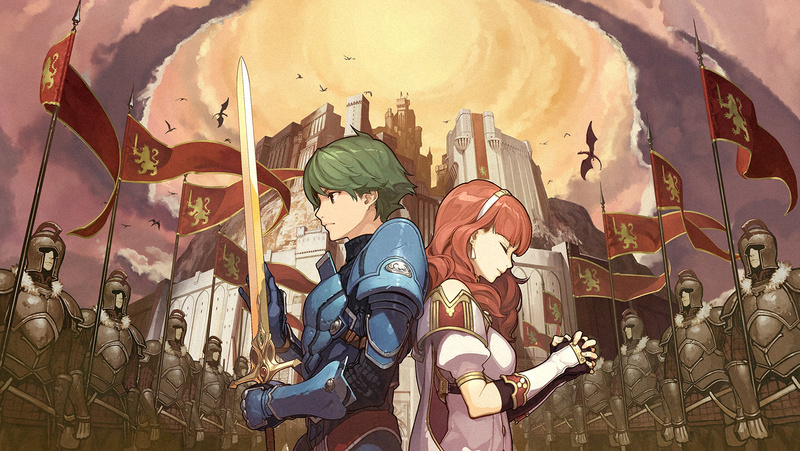 Fire Emblem Echoes: Shadows of Valentia arrived on 3DS and has landed at 5th place in the all-format chart - multiplatform title Injustice 2 is number one while PSVR release Farpoint has performed well to take 2nd place; Grand Theft Auto V and Prey are also ahead of the 3DS title. Echoes matches the previous UK debut position of Fire Emblem Fates: Birthright, but it should be noted that Conquest also did reasonably at launch and meant Fates benefitted from two sets of sales. Though we don't have the actual sales numbers, we suspect Nintendo will be relatively satisfied to see the latest entry make its debut in 5th place. Mario Kart 8 Deluxe only fell three places this week, largely due to those new releases, but is still occupying 6th place in the chart. 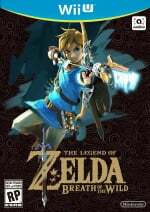 The Legend of Zelda: Breath of the Wild finally departed the top 10, meanwhile, but is still in 12th place in the all-format chart. That's it for Nintendo in the all-format stakes, with a number of evergreen releases getting pushed out of the top 40. If you switch to single-format results we see Pokémon Sun, Mario Kart 7 and New Super Mario Bros. 2 keeping each other company from 33rd to 35th place. For its part 1-2-Switch also sneaks into the single-format results in 39th place. A decent week for Nintendo, all told, while the results next week will bring third-party efforts Disgaea 5 Complete and Ultra Street Fighter II: The Final Challengers. Nice! Cfgk24 hasn't even picked this up yet! Not played Echoes just yet as wanted to beat BOTW first which I finally did last night. Still so much of Hyrule to explore but finally beat the boss. I have been playing Fire Emblem all weekend and I absolutely love it. If this is the quality we get for old Fire Emblem remakes then I demand one for the Switch. And the music...ho dang. Happy for it! Sadly in the UK some games just seem to thrive better than others... COD, FIFA and GTA. But a 5th for Fire Emblem is nothing to shy about. Congrats Nintendo! I bought two copies myself and the game so far is incredible quality! Hopefully be able to start playing Fire Emblem Echoes tonight. Sonic and the Black Knight on Wii distracted me over the weekend. Fire Emblem Echoes is fantastic. It was hard going back to 3DS, but I've adjusted. Story is WAY better than Fates though. Characters are WAY better than Fates. Dialog is WAY WAY WAY better than Fates. And the voice acting is ridiculously good. Granted the maps aren't nearly as good as Fates, and combat is simpler... But I like it. I like the whole system in place and love the quick skirmishes in dungeons. Definitely feels like a return to the OG remakes, only light years beyond Shadow Dragon and Heroes of Light and Shadow. 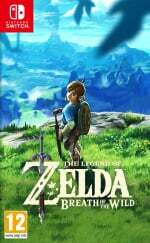 Only real complaint... is it's not on Switch. 1-2 has gone way down, so looks like it was just a game people bought at launch. The other Nintendo Switch games are doing pretty well though. @Blizzia Boey. He of the crap speed. @JaxonH The story still has its issues-- but at least it's passable (though Fates was fun to cinemasin through). And the lack of supports causes much of the cast to suffer. I can think of one character that vies with the worst of Fates, but besides Alm/Celica I don't think anybody matches the best either. @RadioShadow I have Sonic and the Black Knight but haven't got round to playing it yet, is it any good? I think that's a great result for Fire Emblem. Considering the last few 3DS releases have struggled to make an impact on the UK charts, I think Nintendo will be quite pleased with this result. There's life in the old dog yet! Injustice 2 sold approximately 39,000 copies at launch. 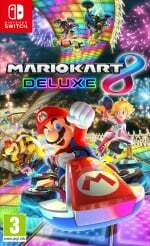 Unless Tekken 7 outperforms expectations spectacularly, Mario Kart 8 Deluxe will be the biggest software release of Q2 2017. Part of the reason why it's only charted reasonably is because a lot of Nintendo fans have ditched their 3DS for Switch. I got the Limited Edition, the box it came in is MASSIVE, especially for a 3DS game. Really good set though, especially with the two amiibos and pin badges. The artbook is very nice as well. And I didn't realise a reversible sleeve could get me excited but it looks great! Haven't actually played the game yet. Considering I only started Fates a couple of weeks ago (despite buying it at launch), I might get around to playing this in 2018! On a side note I'm finding Fates very disappointing. It's not bad, I'm just not getting into it as much as I'd hoped I would. There's too much nonsense fluff like the whole My Castle rubbish, with the core characters and story feeling lacklustre. Hopefully Conquest and Revelation improve things. After completing Birthright I couldn't bring myself to be interested in Conquest or Revelation, but this game is miles better! Amen, I'm gonna give echoes a shot once I've completed Awakening. Echoes definitely feels a bit archaic in terms of gameplay when compared with Fates and Awakening, but there's something about its simplicity that I find refreshing. I wonder if we'd ever get a port of the ps360 version of gta5 to the switch. I'd buy it! Still haven't played it yet and it's CLEARLY still selling well. I'm still holding out for Skyrim. Hopefully that's an excellent port to the switch. Hopefully its decent sales will mean they make more "Echoes" games. @GraveLordXD , I feel you, I havent finished Fire Emblem Fates and I just got BOTW.. Whats my problem...........'Getting Echoes by end week'.